We do not charge for before or after care, however, starting at 5:31pm we do charge a late pick-up fee of $10.00 per child, per 15 minutes. Normal drop-off is between 7 and 9am. Pick-up is between 3:45 and 5:30. In order to drop-off or pick-up your child, please put on your blinker and enter the Loop from the end closest to Bodwell Rd. This will require a right hand turn. For the safety of all children, please have your children wait until the car reaches the marked Loading Area before exiting or entering the vehicle. Once your children are safely in/out of the vehicle, put on your blinker and exit carefully back onto Corning Rd. Helpful Hints: Stay in your vehicle. 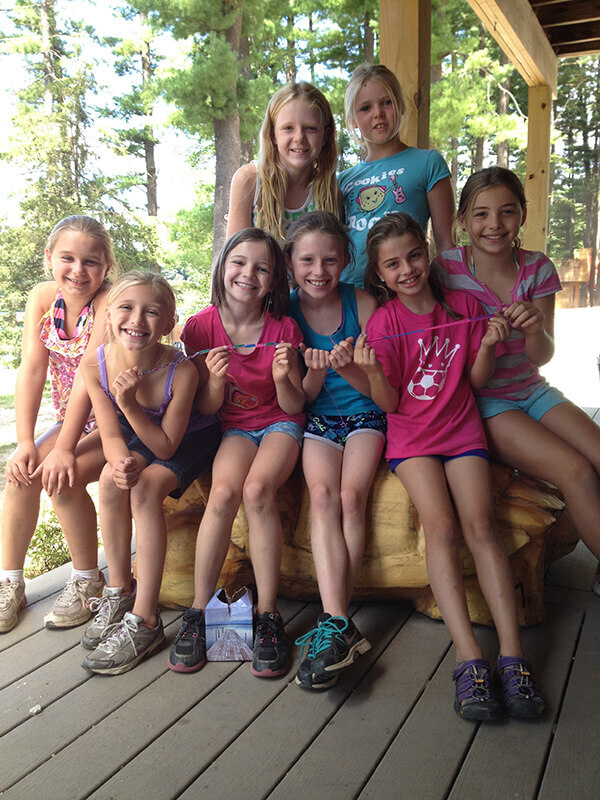 If new to camp, bring your children for a tour so that they are prepared for their first day. Apply all sunscreen and bug spray before leaving the house. Have each child's lunch and backpack ready for him/her to unload. Please have any written notes ready for Steve or Erika at the Loading Area. For the safety of all children, we ask that you please refrain from cell phone use while moving through the Loop. If you arrive at MPDC after 9am, please park at the Loop and walk down to the camp office (lower level of the grey house) to check your child/children in. All early pick ups should take place before 3:15pm. If you are picking up your child before 3:15pm, please park at the Loop and walk down to the camp office to sign your child out. In order for us to end our regular daily program and begin pick-up in a timely manner, we request that no early pick-ups take place between 3:15 and 3:45pm. Regular Loop pick up begins at 3:45pm. The hill can be slippery, please take your time and wear a sneaker or boot-type shoe. For assistance, please call 669-9414. Girls Entering Grades K & 1st. Girls Entering Grades 2 & 3. Girls Entering Grades 4 & 5. Girls Entering Grades 6, 7, and 8. **Groups may be combined or divided due to session enrollment. Boys Entering Grades K & 1. Boys Entering Grades 2 & 3. Boys Entering Grades 4 & 5. Boys Entering Grades 6, 7, and 8. Melody Pines has three large swimming areas bounded by special docks and ropes to allow for excellent supervision and instruction of our campers. Each area has its own raft for advanced swimmers, known as Rafters. Children are given a swimming check on their first day of camp and are then placed in swimming groups according to swimming ability. Swimming lessons, a mandatory daily activity for all campers, are given by our waterfront staff and led by our waterfront director. There are 12 swimming levels beginning with Level 1 beginner (getting comfortable in the water) and ending in Level 4 advanced (distance swimming and lifeguarding skills). Extra help time is available on a daily basis for those campers who wish to receive additional swimming instruction and improve on specific skills. Swimming is also provided daily during free choice time. Those who pass our “Rafter's Test” may choose to utilize the rafts or water trampoline during that time, or even learn to water-ski! In order to become a Rafter, a camper must be proficient at the front crawl, back crawl, breast stroke, elementary backstroke, and sidestroke, and must be able to pass our distance swim. Melody Pines is equipped with canoes, rowboats, kayaks, stand up paddle boards, and a motorboat for daily use. All children are exposed to boating instruction and are given the opportunity to go out in a boat with a staff member and row or paddle. 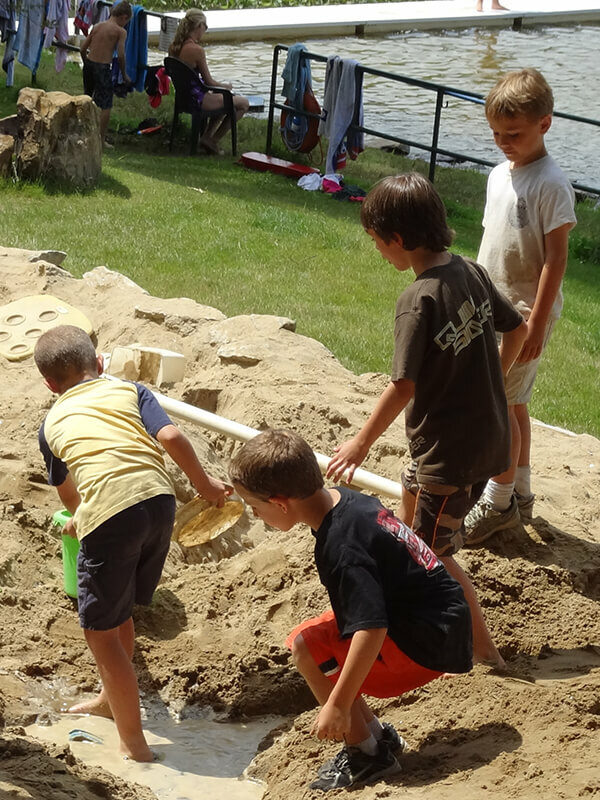 Those campers who have passed the Rafter's Test may navigate their own boats. Campers may also choose to ride the motorboat during their free choice time. Those who have passed the "Rafter's Test" may also learn to water-ski. Please note that all motorboat drivers have been thoroughly trained and are licensed by the State of New Hampshire Department of Safety - Marine Patrol Division.